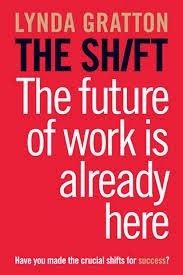 Changing What's Normal - Ian Berry's Blog: The Future of Work is Already Here. Have you made the shifts you need to make? The Future of Work is Already Here. Have you made the shifts you need to make? 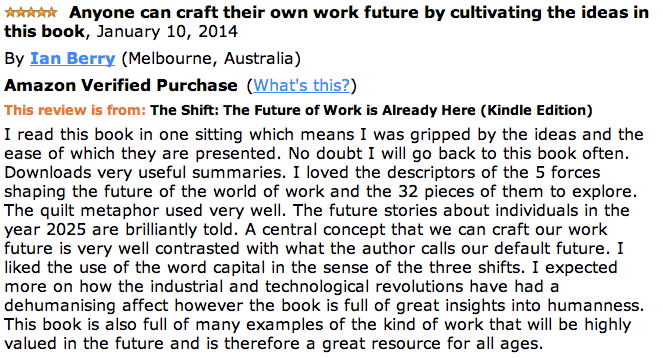 I read The Shift: The Future of Work is Already Here by Lynda Gratton in one sitting. I immediately added this book to my recommended reading list. I joined Lynda's Hot Spot's Movement too. 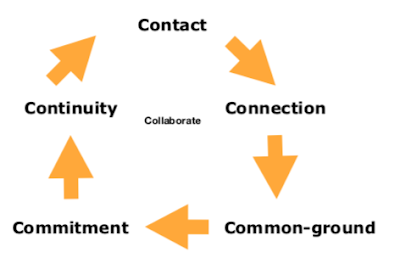 Helping my clients to re-invent the world of work is an abiding passion. I am also passionate about resources for humans that can help people to find more joy and meaning in their work. This book is such a resource. Here's the review I posted on Amazon.